We understand that every property is different. Palatial estates require more attention and a more refined marketing program than would the every-day starter home. This is why we have created two series of real estate photography services to better serve you — The Premium Series and The Signature Series. To visibly distinguish yourself and your listings, VHT presents the exceptional services of the Premium Series. Specially designed to market luxury properties, the Premium Series epitomizes the phrase 'attention to detail.' The Premium Series elegantly blends striking, high-definition photography with world-class service, exceeding the highest of expectations. Click here to learn more. 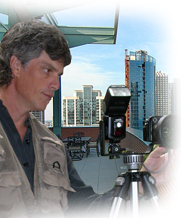 VHT's Signature Series empowers you with best-in-class professional real estate photography. The services of the Signature Series are cost-effective, yet embody unrivaled quality and professionalism, providing a superlative value to our clients. Click here to learn more. VHT's professional real estate photographers deliver the highest-quality real estate photography while maintaining the impeccable professionalism that both you and your client demand. VHT's professional photographers receive continuous training and have photographed over $1.5 billion in residential real estate. Click here to learn more. VHT develops and employs proprietary photography techniques to ensure the finest photography, including special methods for luxury real estate. Additionally, all images taken by our VHT Professional Photographers are sent to VHT Studios where they are edited and optimized to meet VHT's 12-Point Quality Standards Editing Process. Click here to learn more about VHT Studios. VHT is the only company in our industry with the experience, expertise, and confidence to completely guarantee your satisfaction with our professional real estate serivces.